I’m so happy to have Jenny Hale on the blog today to give us a small glimpse into where she writes all of her amazing books! 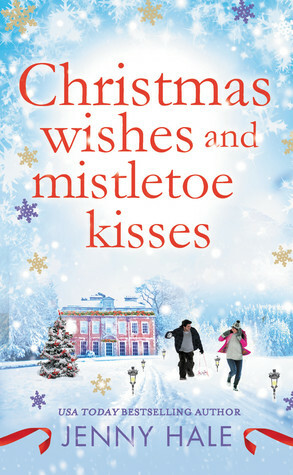 I’m super excited to read her upcoming releases, Christmas Wishes and Mistletoe Kisses (out tomorrow! ), as well, which you can read more about below! When I’m working, I like to be out of my house, usually at a coffee shop—different ones all the time. While I’m there, I’m eyes-on-the-screen, fingers moving at a clip, downing a latte. To any onlooker, I might seem like a caffeine-laden vagabond who avoids housework to spend long hours on my computer in isolation. But that would be far from the truth. New surroundings supercharge my senses; they affect me more than any amount of caffeine could. While I won’t deny my love of lattes, (I’m one of those who rattles off eye-rolling requests like “skinny almond milk sugar-free caramel latte with no whip”) the lattes are but an added bonus, a ticket to get me a seat in this new location. The swirl of cold air as the old oak door opens and shuts, the smell of roasting coffee beans tickling my nose, the gurgle of the espresso machines, the embrace as two people meet up and settle happily at a table nearby—while my fingers move, my brain is taking all that in. Traveling is my way of reviving my mind, of filling it with little bits of new information that I store away and draw upon when the stories start to take shape. Each place is like a gift, and I unwrap it slowly, taking in every fold, every angle, every line of it. I might unwrap the gift and find someone’s laugh, or the way they inhale just before they speak. I might see a shadow on a table and note how it moves whenever someone passes by. Sometimes the locations themselves find their way into my stories. The Jefferson Hotel in Richmond, Virginia is one of them. I used to live in Richmond, and I have spent a few Christmases sipping drinks among the incredibly festive holiday decorations there. You can catch a glimpse of it in my novel Christmas Wishes and Mistletoe Kisses. I hope you get a chance to visit with my characters Abbey and Nick! While I didn’t start straight away, that comment sowed a seed and several years, two children, and hundreds of thousands of words later, I completed a novel that I felt was worthy of publication. The result was Coming Home for Christmas, a heart-warming story about friends, family, and the magic of love at Christmas. I live in Italy and here we don’t have coffee shops where you can actually chill and be inspired by your surroundings, but one time I went to a coffee shop in Amsterdam and it inspired me so much! This was interesting to read about how she writes and where. I love reading Jenny Hale’s books. Great post Jana. Thanks for this post. Coffee shops are not necessarily my thing. As I am not a drinker or lover of coffee. But interest post regardless and very useful information was provided here.